For tens of thousands of students and their families, a majority of Oakland’s schools opened yesterday amid lots of excited smiles, nervousness, and new backpacks. The thousands of people who worked hard to make yesterday a success have the thanks of our GO community. But the bigger good news can’t be captured in pictures — though some of it can be shown in graphs. 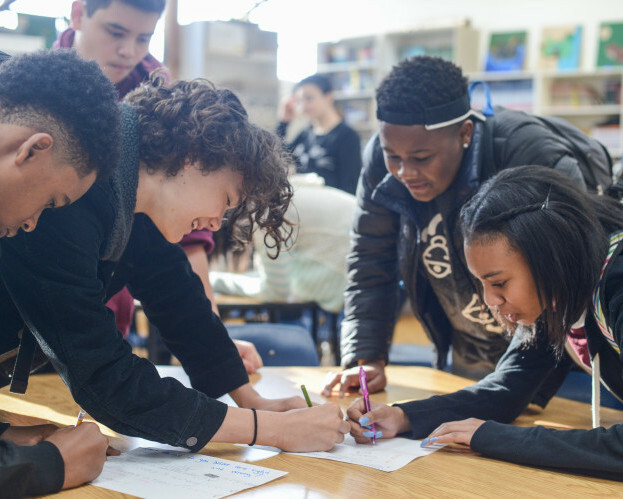 Our GO community is dedicated to ensuring a quality public education for every student in Oakland. We’ve been the first to talk about strengthening opportunity where it’s needed. So Superintendent Wilson’s statement deserves a careful look. 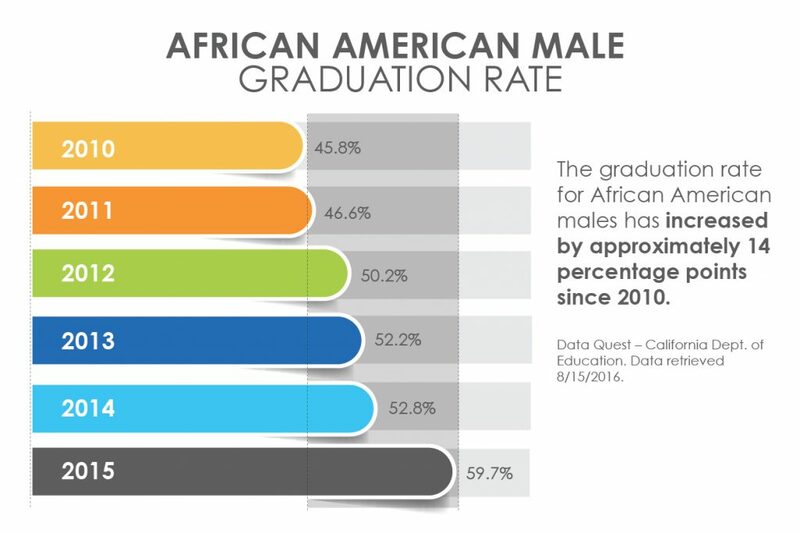 And indeed, graduation rates have soared in recent years, particularly for African-American males, who have seen a 13.9 percentage point increase in their graduation rate since 2010. 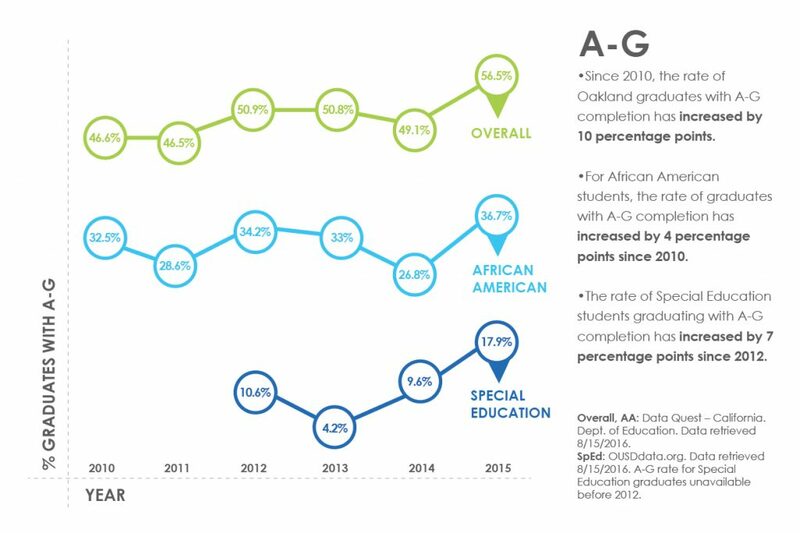 The A-G courses are an important indicator of readiness for college — and those rates, while not high enough overall, have jumped 10 percentage points since 2010, with big increases for African-American and Special Education students. 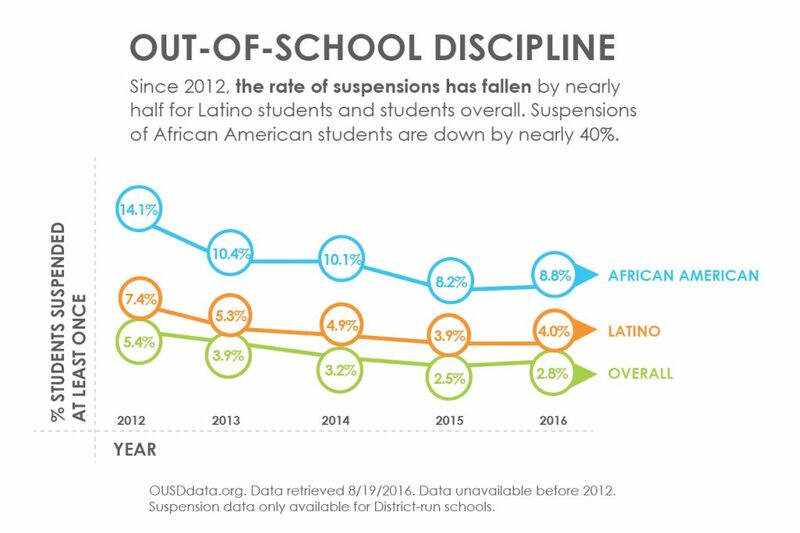 Meanwhile, following sustained attention to puncturing the “school to prison pipeline,” it was exciting to see the number of students with at least one suspension cut by nearly half in just four years. 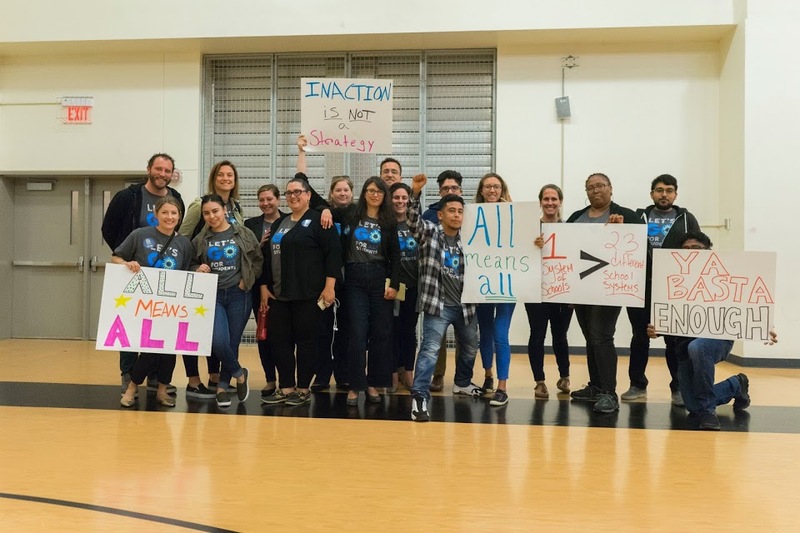 And on the financial front, Oakland families and taxpayers should take heart at the strong credit rating the district has received on its bonds — resulting in savings that benefit schools and the community. Neither Superintendent Wilson nor anyone else is declaring mission accomplished. 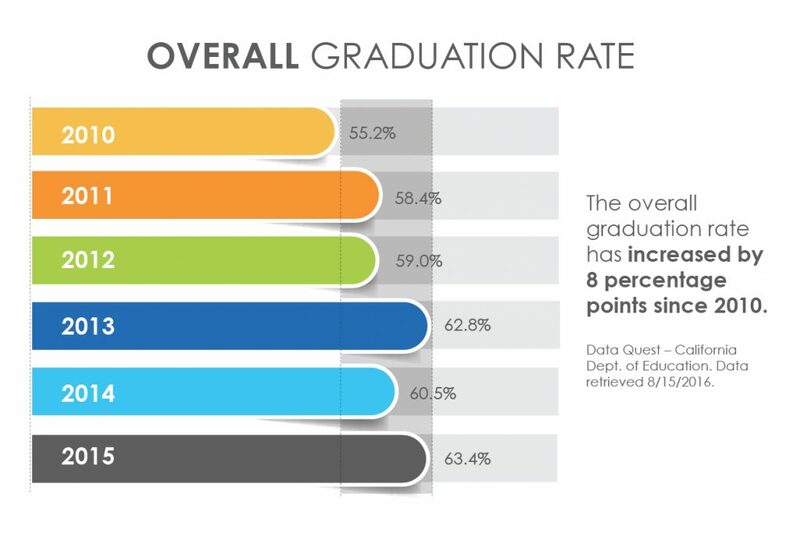 Despite the improvements, no one thinks graduation rates, A-G course-taking, or other indicators are high enough. We have much more work to do, as a community, to provide our students with the life choices they deserve. But Superintendent Wilson is right that our young people have better chances today than they’ve had before. And that’s a direct reflection of the hard work of Oakland’s educators, families, students and leaders.